All about Bayern. Pivotal in Dortmund’s master plan the announcement of his transfer in April took the wind from everyone’s sails. He had formed a wonderful partnership with Marco Reus, die Schwarzgelben had us all purring, he looked back to his best after that long absence from injury the previous year and everything was coming up Mario again. While rumours had been circulating that a move may be in the wings for the summer the timing of the announcement and his destination were still a surprise. The Champions League final absence via injury was a blessing for all concerned. The awkwardness of a player turning out in the biggest game in European football for his ‘old’ club in front of fans who were less than happy about his exit, and playing against his ‘new’ team in front of their fans who were openly skeptical about his reasons to move, was best avoided in our opinion. 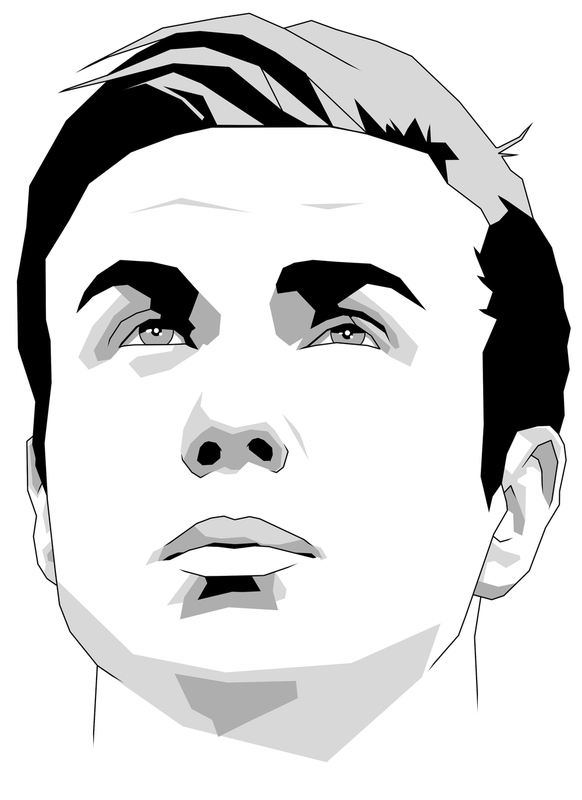 It’s been reported that when Pep Guardiola agreed to take the Bayern job he insisted signing Götze was integral to his vision, and Mario was determined to work with him to achieve this. A match made in reciprocal heaven then, regardless of what a few naysayers may have been thinking, and a German record deal was done. His start at Bayern was difficult, an injury that saw him miss the end of last season niggled all the way into this, but he is now fully fit and once again looks electric. In the starting international fold and with plenty of Pep-talks ahead, the next few months will hopefully see him return to his absolute best. Since his top mark in 2011’s review his career has been consistently bothered by injury. Part of the Pepolution at Bayern has involved bringing the heart of the Barca medical team that kept Lionel Messi on the pitch come rain or shine, and here’s hoping they can weave similar healing powers over Mario’s various niggles and strains. A good clear run in the Bayern side from here to the end of the season would do wonders for a player who is approaching his best but needs to lose the fear factor that he’s only an outstretched leg away from the treatment room again. With Pep’s hand on his shoulders we want him to become that truly world-class operator we fell in love with back in 2011. It’s time for him to be a little selfish and take the year by the scruff of the neck. We want him to reclaim the Super Mario from Balotelli and the umlaut back from Arsenal, we want him to sweep all before him and carve a niche for himself in a team that ended the year with a treble. Class personified on the ball we want a great season, a wonderful World Cup and then another brilliant start next time around. Too much to ask? Maybe, but this is a man we know is capable of all of the above, we just hope he believes it too.